Are you ready for some #FOOTBALL? One of my favorite sporting events of the year is finally here: the Super Bowl! I, for one, am so excited that they announced Beyoncé as the Super Bowl half-time performer because personally I think it’s nice to finally have an act from this decade again! It’s only been 10 years since Janet and Justin’s infamous wardrobe “malfunction” (whoa-- 10 years already!?) and even back in 2003 with early days of social media, it caused a huge sensation! Could you imagine if something like that happened today? Twitter & Facebook would EXPLODE. We all know that social media plays a large role in how we view, take part or execute any major event. You see it from the 2013 Inauguration to this year's award show season and now the Super Bowl! It's everywhere which makes it even more critical to consider how you brand your event. Take this year’s Super Bowl for example. We have two brothers, Jim and John Harbaugh coaching against each other. And as anyone following sports news may know, the media was quick to nickname Super Bowl XLVII The Harbaugh Bowl. Which in my opinion, is a cumbersome, and for lack of a better word….lame. Instead they should have called it the SupHarBowl, (ha get it, you see what I did there) it’s cute, it’s catchy, it’s easier to say and it’s much more #hashtag friendly (for those who are so inclined to tweet). If you want people to get on social media and get active with your event it’s important to brand yourself in such a way that allows for both your team creating the event and your attendees to have fun with it! Look at next year’s Super Bowl branding. When they announced that New Jersey’s Met Life Stadium had been selected to host Super Bowl XLVIII they immediately began calling New York City as the Big Pigskin. 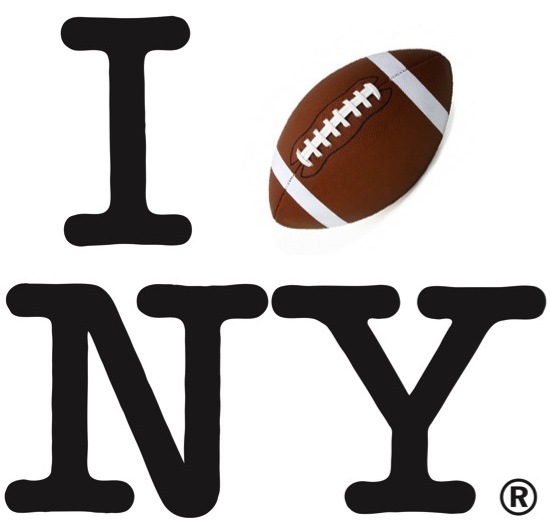 (*Note: Both the New York Jets and New York Giants share the nations #1 grossing stadium actually in New Jersey) I have to admit, when I first heard the nickname, "The Big Pigskin", I thought, ehh, why did they pick the most overused phrase to describe New York City as their tagline? But the more I thought about it, I realized how clever it was because they left themselves enough room to play. They now have the ability to showcase the best the city has to offer while still tying it into football. While I think it’s great to give your audience some direction as to how you want them to interact with you, thanks to hash tags it’s just as easy to do a quick search to see what people are saying! Let your audience have some fun and be as creative as you are. If you’re going to create a designated hash tag for your event ensure you start out early, make it something straightforward and easy to remember and if your audience happens to come up with something better -- partner with them and hop on board. The best BONUS? What if both the Giants and the Jets played a Super Bowl in their shared hometown stadium!? I can only imagine the blue, red, green and white HYSTERIA-- and I want to be apart of it all!